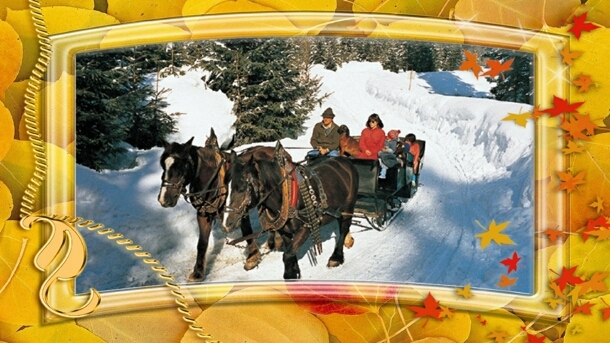 There are a lot of various activities that encourage family closeness, love and friendship. Viewing family photos together is one of these. This nice tradition can become even more fun thanks to photo slideshow software: instead of passing around a pile of printed pictures or displaying digital shots on the computer screen, you can prepare a spectacular video presentation where photos are combined with music and narration. Making such videos and looking for fresh family slideshow ideas will soon become your common hobby. Whether we have a weekend tea-party, or a big family reunion, it’s always great to watch both old and fresh family pictures. All these events present an occasion for preparing a family slideshow. It can be focused on your memories or future hopes, share experiences and life lessons, or make everyone laugh. To make it really creative, try realizing one of the following family slideshow ideas. Creating a photo slideshow designed like a family yearbook is a fun project to do before Christmas, or a traditional family get-together. All your relatives not often seen will enjoy learning about the everyday activities and the special events that occurred in the family. Look back on the year that has passed, and select the pictures that represent its milestones. It will be great if you also collect photos from your distant relatives in advance, and integrate them in your year review, demonstrating the family unity. Doing research into your family history and involving your kids and the older generation family members is another great project. You can find your great grandparents’ old photo album and scan the photos. Then, “interview” grandma to learn more about them. You could even use a microphone to record her memories, and then add an MP3 recording to your slideshow. Another option is adding text captions and using a font that imitates handwriting – this will add a nostalgic note to your family chronicle. 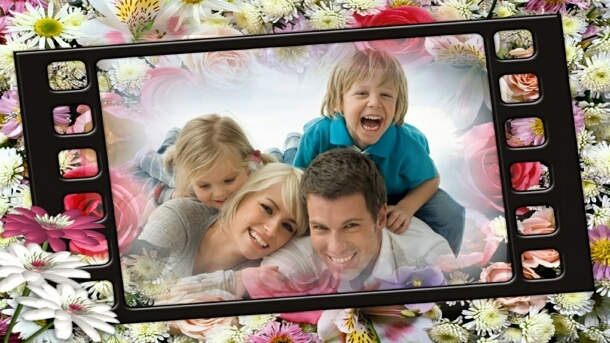 Since old photos may be not very clear and sharp, you might need to retouch them before adding to the family slideshow. Photo editing software available today makes this kind of photo processing quick and easy, even for amateurs. 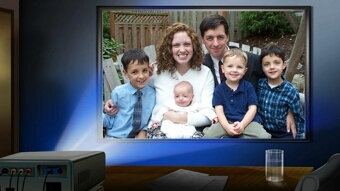 Another family slideshow idea is making a tribute to one of your family members. The occasions can be different – Mother’s or Father’s Day, an anniversary, or a memorial. But no matter what the occasion is, telling the life story of a person that is special and important to everyone in your family, will be a wonderful gift and a great lesson for the younger generation. Besides the photographs showing episodes from the person’s life, you can include his / her favorite songs, as well as various items like scanned personal letters, diaries, diplomas – anything that will bring the past to life. This family slideshow will certainly become a cherished keepsake, passed on to kids and grandkids. If you would like to realize one of these family slideshow ideas, but don’t have any experience with making a slideshow, you will find a simple step-by step guide in How to Make a Picture Slideshow. Use Photo Slideshow Creator for great projects that will tie your family together!